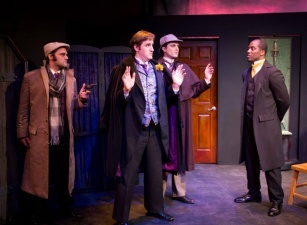 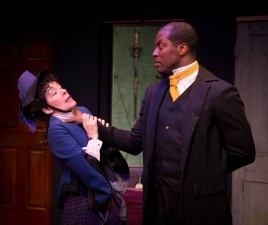 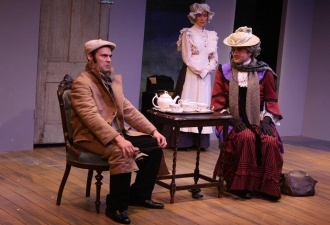 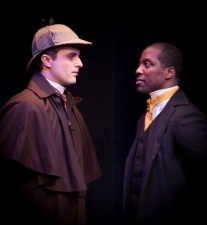 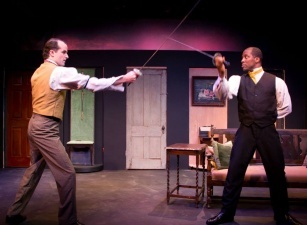 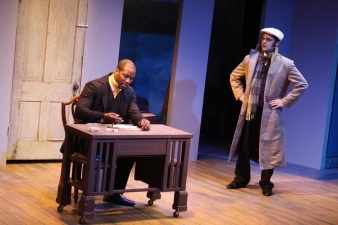 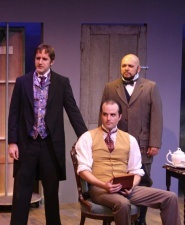 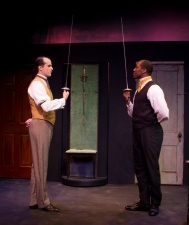 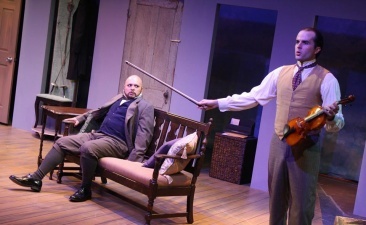 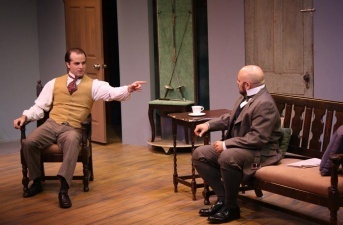 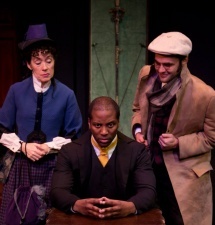 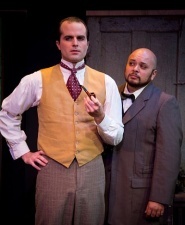 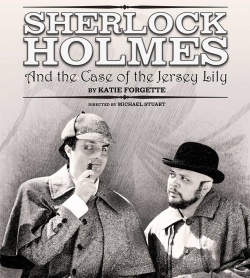 Sherlock Holmes and the Case of the Jersey Lily is an American play, written by Katie Forgette and directed by Michael Stuart, performed at the Austin Playhouse (Austin, TX, USA) from 14 november to 14 december 2014, starring Jason Newman as Sherlock Holmes and Ben Wolfe as Dr. Watson. 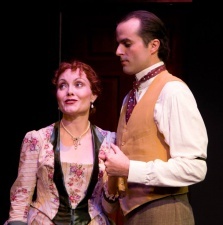 © Photos : Austin Playhouse. 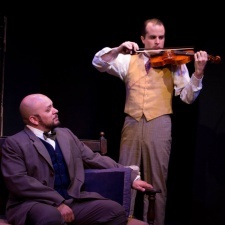 This page was last edited on 27 October 2018, at 01:13.